I feel sort of ashamed that I'm only just now getting around to reading this book since Cathy Fleischer has been such a mentor to me in my MA program at Eastern Michigan University. I feel like this book has been the theory and practice that my writing instruction was missing. Helping students navigate unfamiliar genres is so incredibly important because once they have learned to examine the unknown, they will be more self-motivated to continue learning that which is unfamiliar, intimidating, or downright scary, even when it's not required for a grade. 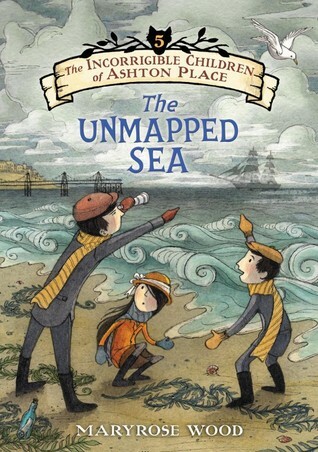 I cannot get enough of the Incorrigible Children of Ashton Place series. Katherine Kellgren is an absolutely brilliant audiobook narrator. These audiobooks are truly a comfort read for me. 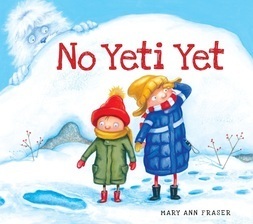 A delightful story with great read aloud potential about two siblings who go outside on a cold winter day in search of a yeti. This book has a lot of characters and stories to keep track of, but overall I'm really enjoying it. I want to read Goodbye and Echo badly--they both look so good! And I specifically cannot wait to listen to Echo. Those two are high up on my must read as well! I've had Echo sitting on my TBR pile for a few weeks, but now that I've read your review I think I'll get it on Audible instead. Some books work so well in that format and I'm just about to finish my current audio book. Nice assortment of books. I'm curious about Judy Blume's book and will have to look for a copy. Here is my weekly report. Happy reading! I enjoyed Goodbye Stranger and Echo, and will look for No Yeti Yet, looks very cute, Beth. How wonderful to have an interview with Margaret Engle. 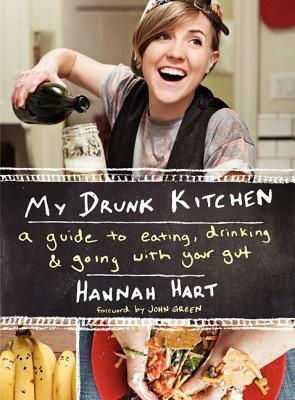 I'm looking forward to her book! What a great week you must have had. 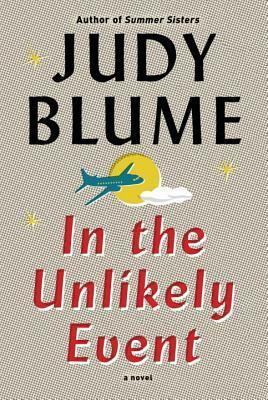 I can't decide about the new Judy Blume book - I'm not crazy about flying and this could put me off it altogether, I'm afraid. Writing Outside Your Comfort Zone is now going on my TBR list, Beth. I am looking forward to tomorrow's interview! I'm glad you're enjoying In the Unlikely Event. 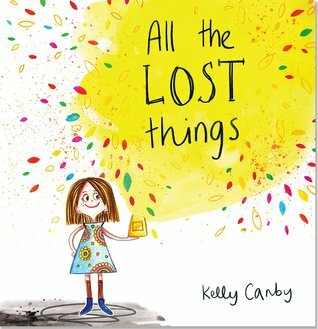 It's an adult book I really did enjoy! I can see how people who are already nervous about flying, that book could put them over the edge. I am convinced to start reading The Incorrigible Children of Ashton Place series. I just put the first audiobook on hold at our library. 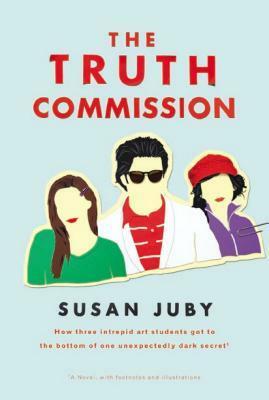 I'm looking forward to reading The Truth Commision, partly because Juby is Canadian, and also because, I like her work. Have you read any of her Alice books? Somehow I completely missed that there is another Incorrigible Children book out! That's such a fun series. Quite a change in the cover of this new one! The Truth Commission has been on my to-read for a while but I just haven't gotten around to it yet. I can't wait to hear what you think! 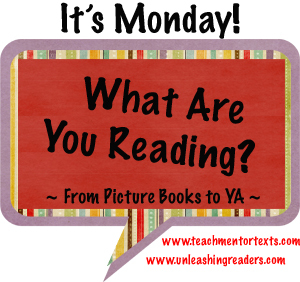 Your reviewed books this week both sound so good! I want to listen to Echo--I am just waiting for school to come back. I also love Kellgren, so I will have to find that new-to-me audiobook as well. Engle has been a fun discovery for me. So I'm excited for your upcoming interview with her. Except for Echo, most of these titles are unfamiliar to me. Glad to see that you have an interview with Margarita Engle. Such a beautiful person inside and out. I love all her novels-in-verse and really looking forward to reading Enchanted Air. 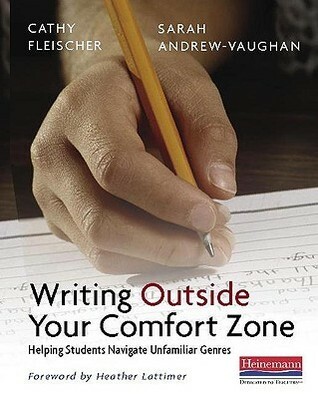 I just reread Writing Outside Your Comfort Zone a couple of weeks ago to prepare for using the Unfamiliar Genre Project in my Comp II course. I think it's gone quite well. Trying to decide if I want to include it in my Methods class this fall. I really like organizing workshop by genre study, and I really like Fleischer and Andrew-Vaughan's approach to genre. I should probably do a longer review for my blog. I really want to get my hands on No Yeti Yet! I'm anxious to read Goodbye, Stranger, and I loved Echo! I'm intrigued by the Incorrigible Children of Ashton Place. The pictures and illustrations remind me of some of my reading of the Benedict Society books. Thanks for sharing your thoughts!